On 18 December 2017, the US vetoed a United Nations Security Council resolution that had called for the withdrawal of US President Donald Trump’s recognition of Jerusalem as the capital of Israel. The resolution was supported by all remaining 14 members of the Council. Two days after the vote, Trump threatened to cut foreign aid to countries that voted against the US at the UN. "These nations that take our money and then they vote against us at the Security Council … We’re watching those votes. Let them vote against us, we’ll save a lot,” he said. Several years earlier, the first Bush administration famously pressured governments to vote in favour of the Security Council resolution approving Operation Desert Storm. When Yemen voted 'no', James Baker, the Secretary of State, reportedly told colleagues, "[t]hat’s the most expensive vote they ever cast." The US subsequently cut $70 million in foreign aid. In recent research (Dreher et al. 2018) we asked whether these favours are linked to voting behaviour in the Security Council, what the rewards might be for voting with the US, and the method by which the US could 'buy' agreement, given that it would be frowned upon if done openly. To answer the questions, we used an original dataset that comprehensively records Security Council voting data. Dreher, A, V F Lang, B P Rosendorff, and J R Vreeland (2018), “Buying Votes and International Organizations: The Dirty Work-Hypothesis”, CEPR Discussion Paper 13290. 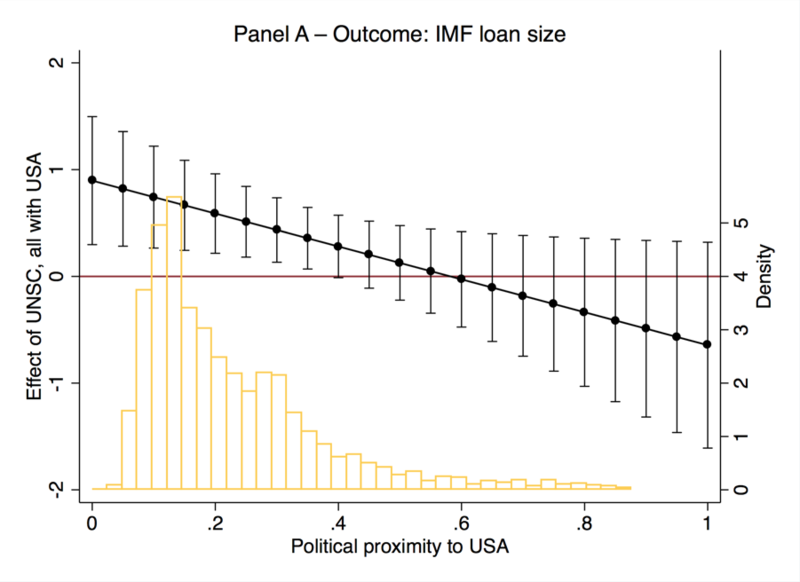 Dreher, A, J-E Sturm, and J R Vreeland (2015), “Politics and IMF Conditionality”, Journal of Conflict Resolution 59(1): 120–48. Gordon, M R (1996), "Russia and IMF agree on a loan for $10.2 billion," New York Times, 23 February. 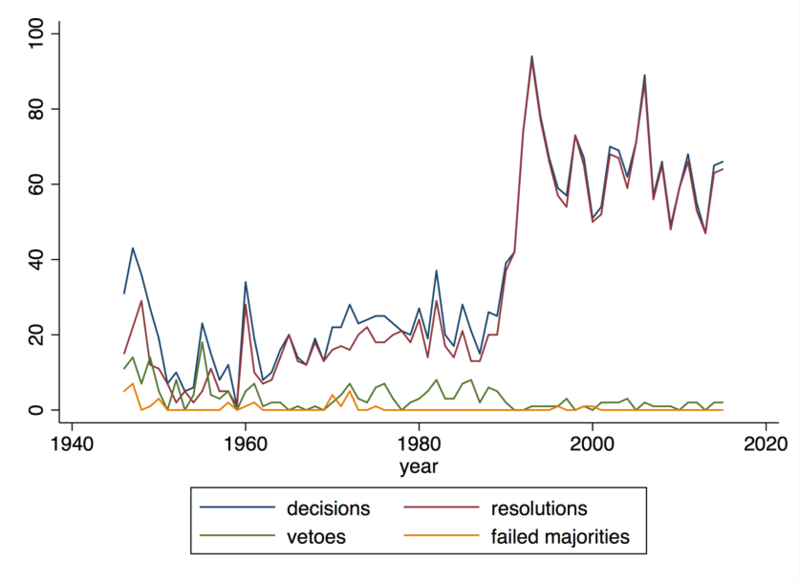 Kuziemko, I, and E Werker (2006), “How Much Is a Seat on the Security Council Worth? 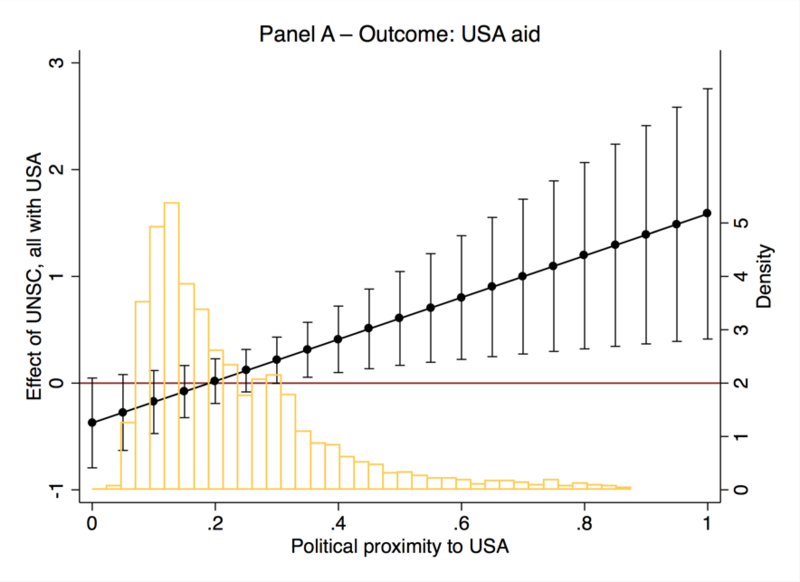 Foreign Aid and Bribery at the United Nations”, Journal of Political Economy 114(5): 905–30. Vreeland, J R, and A Dreher (2014), The Political Economy of the United Nations Security Council, Cambridge University Press.